Planning a city break? Don't forget to take your Mens Bridgewater Jacket jacket. 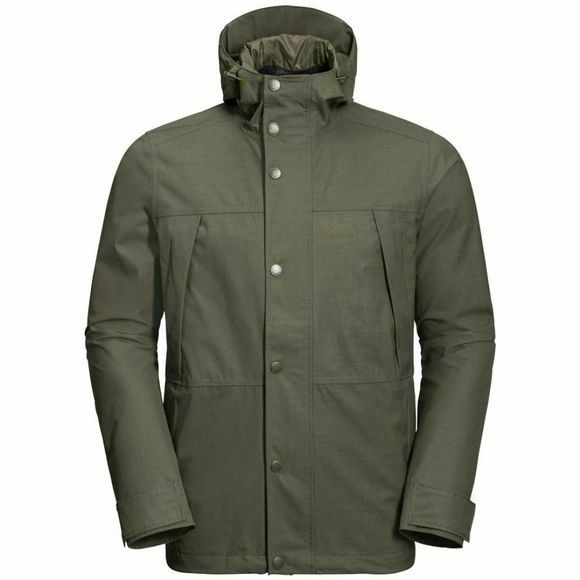 This stylish waterproof jacket is designed for the urban environment. The fabric is called Texapore Ecosphere Slub. It's waterproof, windproof and has a distinctive canvas-like look. And it's 100% recycled. The fabric is also breathable, so it reduces perspiration–a handy feature when you're wandering around town and constantly switching from indoors to out. And there's no need to carry an extra bag for your wallet, keys and other little items. There is plenty of room for those in the pockets.